This 2005 Viking Sport Cruiser (Princes) 50 Flybridge has been enjoyed in the fresh waters of the Great lakes by her original owners. A beautiful, painted navy hull provides the rich exterior to compliment her stately, cherry wood appointed interior. Her experienced owners have provided the best of care including inside heated winter storage. 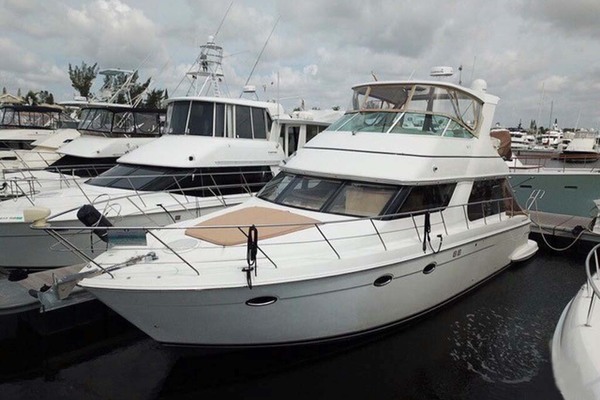 This is your opportunity to own a low hour, prestigious Viking Sport Cruiser.